Over the years, Chick-fil-A has set itself apart by pioneering innovations and delicious products like the ever-popular Chick-fil-A Chicken Sandwich. Guests can expect great-tasting and high quality food. 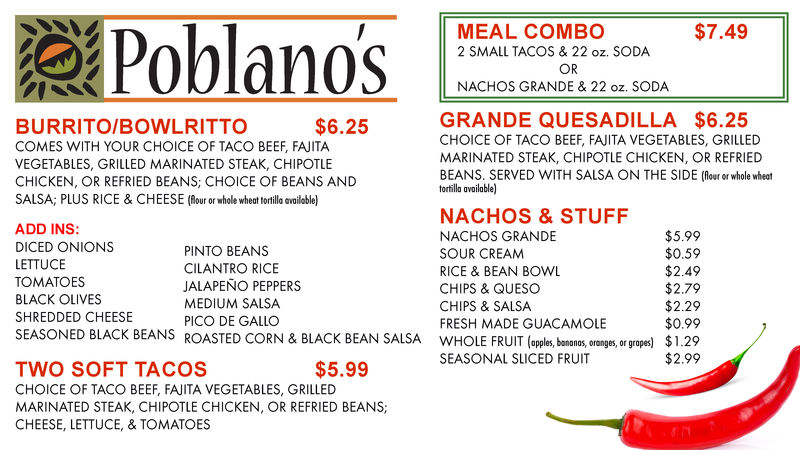 ​Monday - Thursday | 11 a.m. - 10 p.m.
Friday | 11 a.m. - 4 p.m.
Saturday | 5 p.m. - 9 p.m.
​Poblano’s serves up an extensive selection of burritos, tacos, and quesadillas. Feast on nachos with guacamole or fresh salsa, authentic Mexican rice and beans, and so much more. 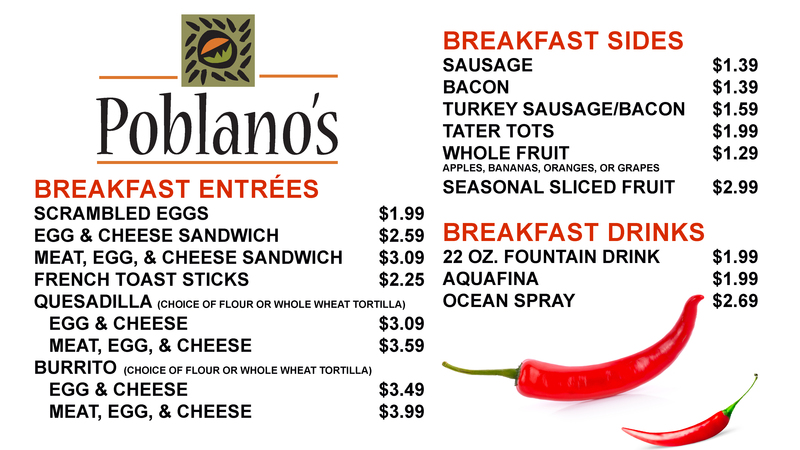 Our breakfast menu features traditional items; as well as Tex-Mex inspired delights. Monday - Friday | 8 a.m. - 10:30 a.m.
Monday - Thursday | 11 a.m. - 8 p.m.
Friday | 11 a.m. - 3 p.m.